Midwest Cooling Towers, Inc., Chickasha, OK, welcomes back Darryl Miller to the position of sales engineer for the western region. Miller will work with Midwest Cooling Towers’ customers and projects along the west coast and other areas within the region. Darryl is a graduate of Pennsylvania State University with a bachelor’s degree in Mechanical Engineering. He has over 15 years of cooling tower experience primarily in the industrial new towers and aftermarket sectors. Miller has had experience from the receipt of the quote request to the final invoice on a job. He has served in roles such as estimating, writing proposals, purchasing, project management, job cost reporting and invoicing. 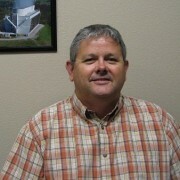 Terry Ogburn, Midwest Cooling Towers’ Vice President, explained, “We are pleased to welcome Darryl back to our team.” Miller was previously with Midwest Cooling Towers as a sales engineer for new tower and repair projects from 2004 to 2007. 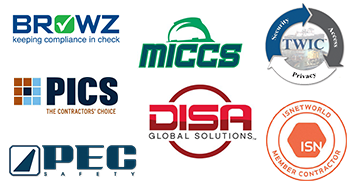 Midwest Cooling Towers, founded in 1987, is a complete cooling tower engineering, manufacturing and construction company. They provide new cooling towers, maintenance services and replacement parts for all makes and models of evaporative water cooling towers serving industrial and power applications. Midwest Cooling Towers is also a leading manufacturer and supplier of fiberglass fan stacks and pressure treated cooling tower lumber for many cooling tower contractors and original equipment manufacturers (OEM’s) around the world. For more information, contact Midwest Cooling Towers, 405.224.4622.